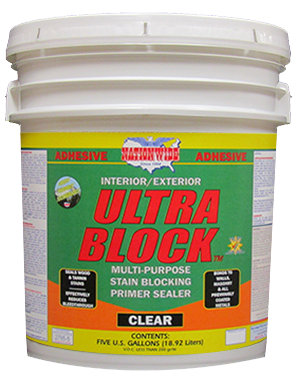 What is ULTRA BLOCK™ CLEAR ADHESIVE, STAIN KILLER, WOOD SEALER & METAL PRIMER? 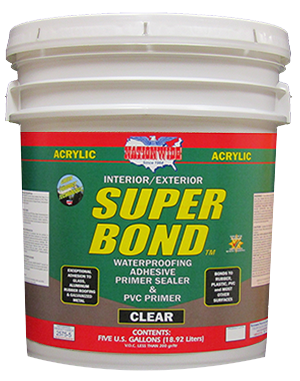 Ultimate high performance, high solids clear acrylic adhesive primer, surface conditioner, stain killer and wood sealer. 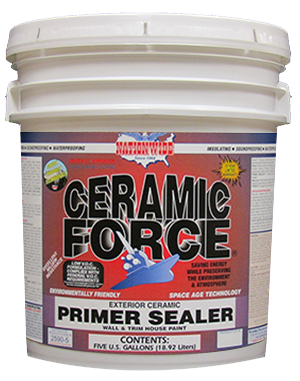 A high solids content clear primer that effectively blocks and seals most stains and bleed through including: water, lipstick, tobacco, nicotine, inks, crayons, wood knots and sap streaks. 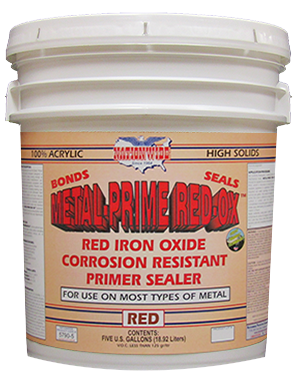 ULTRA BLOCK™ has excellent resistance to and sealing of tannin stains, plus provides rust and corrosion resistance. 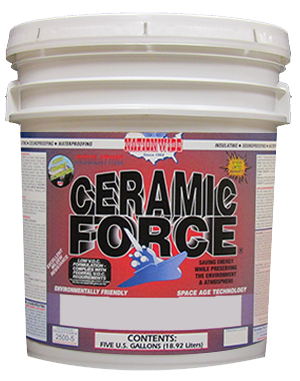 Excellent as a wood primer on most previously coated or uncoated wood surfaces.